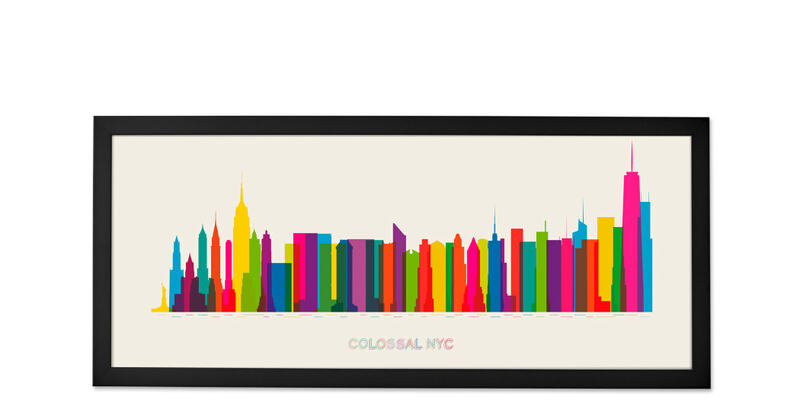 Inspired by New York City’s iconic skyline, this print of Yoni Alter’s 2013 piece, Colossal NYC showcases some of the city’s tallest buildings arranged in order of completion. Yoni is a London-based designer and artist whose colourful works have received widespread acclaim. They’re perfect for adding personality to a room.